In China there are massage parlours almost everywhere, so if you want a foot massage you usually don’t have to go too far. But if your Chinese isn’t so good you might find the scantily dressed masseurs going much further than you expected. Unfortunately when I tried taking a friend to this “massage place” a year later I couldn’t remember exactly where it was, so I asked the taxi driver. We want a massage. Is there a massage place near here? The driver chuckled and, with a cheeky smile, said he could take us to the red light district down the road. I insisted that there was a place where we could get an àn mó nearby, and so we got out the taxi and started asking pedestrians about where to get an àn mó. All the people we spoke to completely blanked us and walked off. Due to the large number of beggars and scammers in China this isn’t a completely uncommon way for Chinese people to treat strangers, so it wasn’t until a security guard came over and informed us about the red light district being further down the road that the penny dropped. All the time we were asking about àn mó we thought we were asking about massages, but we were actually asking passers by for directions to the nearest whorehouse. And it turns out àn mó isn’t a completely euphemistic term since many places double as both. They’ll do a massage, but they’ll also a lot more if requested. 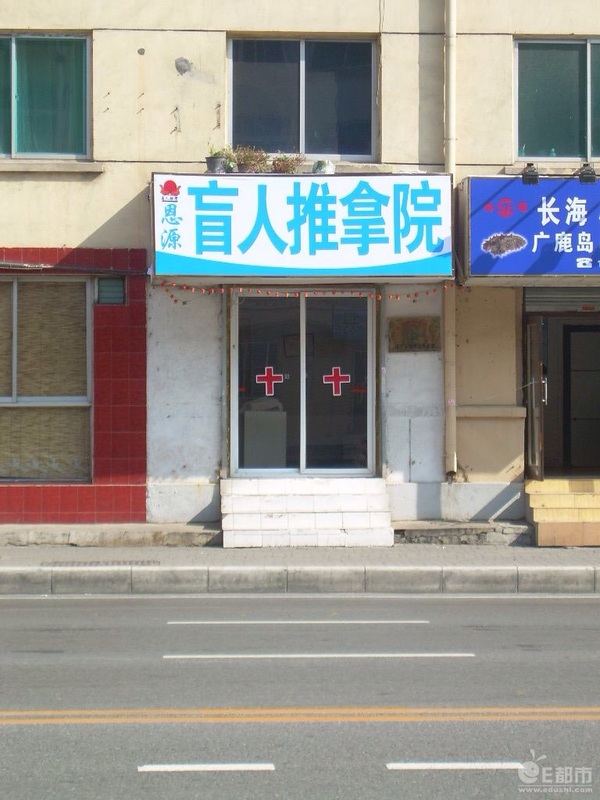 So if you’re legitimately just wanting to get a foot massage in China you can looking for a place that says tūi ná 推拿, which can be translated as “physiotherapy”, and if you go to a small cheap one you’ll often see ugly middle aged men or women doing the work. They might not be pretty but they are tough, and if your the keep-fit type then they’re probably just what you need for when your legs are sore after a long run. If your more of a charitable type then you can try the màng rén tūi ná 盲人推拿 which means “blind people physiotherapy” and is exactly what it says it is – blind people giving you a massage. Generally speaking blind people might find getting a job to be a bit harder than most other people do, and in China there is not so much in the way of welfare provision, so màng rén tūi ná is probably providing a respectable living for many people who would otherwise be in quite a bit of financial difficulty. As a rule of thumb, when you see a place with a pink light and women sat by the window wearing lots of makeup and very little in the way of clothes then that’s the sort of àn mó place you should stay away from. This entry was posted in Word of the week and tagged massage. Bookmark the permalink.